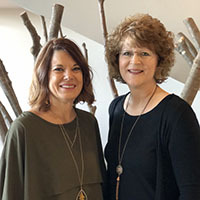 Dr. Suzanne Nesmith (left), associate dean and associate professor of science education, and Dr. Sandi Cooper (right), professor of math education, received the Award for Excellence in Integrating Science and Mathematics from the School Science and Mathematics Association (SSMA) at its fall convention in October. The award recognized a professional development program for local educators. Nesmith and Cooper held regular seminars for Waco teachers from the two Professional Development School campuses that are designated for the science and math experiences of School of Education student-teaching interns. Both mentor teachers and student-teaching interns from Mountainview Elementary and Bell's Hill Elementary attended the seminars. Dr. Susan Johnsen, emeritus professor of Educational Psychology, was selected for the Ann F. Isaacs Founders Memorial Award from the National Association for Gifted Children. The award honors those who have served the profession and the association with distinction and are leaders in the field of gifted education. NAGC's mission is to support those who enhance the growth and development of gifted and talented children through education, advocacy, community building, and research. Dr. Rishi Sriram, associate professor in the Department of Educational Leadership, is one of three Baylor University professors selected as the 2018 Baylor Centennial Professors by the Centennial Faculty Development Review Committee. Created by the Baylor Centennial Class of 1945, the award provides tenured professors with funding for research projects to aid with more in-depth study in their respective fields. With the research grant, Sriram traveled for a week to Elon University in Elon, North Carolina, to attend a research seminar on Residential Learning Communities with the goal of publishing three peer-reviewed journal articles. 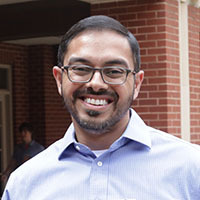 ""My research continues to demonstrate the powerful ways that residential learning communities shape the student experience and lead to positive student outcomes," Sriram said. "I think this is an area in which Baylor has the potential to be a national leader." 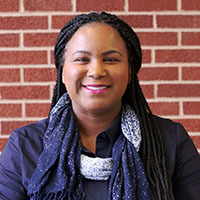 Dr. Lakia Scott, assistant professor in the School of Education&rsquo;s Department of Curriculum &amp; Instruction, received the 2018 Baylor Diversity Enhancement Award. The award recognizes the efforts of one individual within the Baylor community who actively strengthens and promotes respect for diversity through innovative leadership and service or through practices and programs designed to enhance a climate of understanding and respect throughout the campus community. Scott was singled out for her efforts in promoting the recruitment and retention of first-generation college students; serving as advisor to the multicultural student organization ROOTS; mentoring young women of color; establishing a reputation for being empathetic and supportive of students from traditionally marginalized backgrounds; and focusing her research on multicultural awareness, diversity practices and urban literacy. Scott said she was honored to receive the award and plans to continue serving in volunteer capacities to "advance University initiatives centered on diversity and inclusivity for students, faculty and staff." Dr. Rachelle Rogers, clinical associate professor in Curriculum &amp; Instruction, received the Baylor Outstanding Faculty Award in Teaching for 2018. Rogers, EdD &rsquo;05, is a member of the SOE graduate faculty and also serves as a University Liaison for Midway Middle School Professional Development School, teaching courses on the school campus and supervising juniors and seniors who are gaining field experience there. In addition to supervising candidates in their extensive field experiences, she teaches the middle school mathematics methods courses. 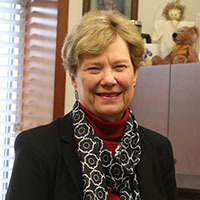 Dr. Larry Browning, chair of the Department of Curriculum &amp; Instruction, said of Rogers, "Students find her passion and interest in their careers as teachers a unique characteristic of her role as Baylor faculty. 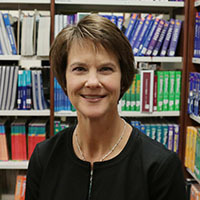 Further, she executes a robust research agenda and has successfully connected research and scholarly endeavors with the work in the field."